A review of the Union Security Health Insurance Company leads to the Union Security Insurance Company. Union Security Insurance is a stock company that underwrites and issues products for Assurant Health (Assurant). In 2010, Assurant had assets of about 26 billion, 8 billion in annual revenue and now has a market capitalization of approximately 4.2 billion. Assurant offers a large array of products including life and health. For your best, unique quote, you can type in your zip code to compare Assurant and different health insurance quotes. With a large variety of specialty insurance products and locations throughout the U.S., Assurant manages an impressive portfolio. The goal of Assurant is to be leader’s in a very niche market and create a piece of mind advantage to its customers. In 1892, Assurant started out as LaCrosse Mutual Aid Association and focused on disability insurance. The company later changed its name to Time Insurance Company. Another subsidiary of Assurant was Montana Life Insurance Company (later changed to Western Life Insurance Company) was created in 1910. In order to keep up with demands and trends of the times, Assurant’s subsidiary companies expanded their products and moved into health insurance and life insurance along with disability insurance. In the 1990s, Assurant kept adding to its overall business by adding several subsidiaries with niche specialties and international reaches. In the later 1900s, the subsidiaries of Assurant combined in order to meet financial needs and trends. By 1998, Assurant was the leader in small group health insurance. Assurant offers group dental insurance with preferred provider organization. Assurant offers group disability with long-term and short-term disability insurance. Assurant group life insurance offers term life and accidental death and dismemberment insurance. Assurant’s group voluntary insurance offers 100% employee paid insurance (offered by employers). Finally, Assurant has preneed life insurance that offers insurance to fund funeral expenses. According to A.M. Best, Assurant has a financial strength rating of A-, which is considered “Excellent.” Along with their A- rating comes a “Stable” rating for their financial outlook. A.M. Best also gave an “a-“rating for Assurant’s credit rating which is consider “Strong.” Their credit rating outlook was given a “Stable” rating as well. The ratings were established recently with an effective date of November 18, 2010. According to the Better Business Bureau (BBB), Assurant has been an accredited company with them since November 23, 2009. The BBB gave Assurant a rating of A+ (their highest rating). Fortune 500 listed Assurant as number 285 on their list of largest publicly traded companies in the U.S. Fortune. Fortune Global 2000 listed Assurant as number 1,123 out of 2,000 on their list of top 2,000 companies worldwide. 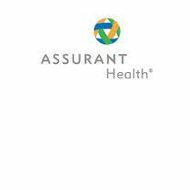 With a great rating from A.M. Best and a large array of products that not only include health and life, but insurance for homeowners, Assurant is a great company to work with. Their customer service skills are also impressive with its “A+” rating from BBB. Finding an insurance company with unique products and great financial and customer service ratings is rare. For more information on Assurant or to compare their rates with other company’s health insurance rates, type in your zip code and compare. I have Assurant ins for dental insurance. I have made several calls today trying to get the right phone number but no one can give it to me. I can’t find my card. I need someone to call me, please.